When the results of your personal injury claim are at stake, you want a lawyer who only does one thing...That's fighting the insurance companies every day, in and out of court. And when they refuse to negotiate, you want a courtroom fighter. Yvonne Griffin is a trial lawyer who only practices law for injured persons. 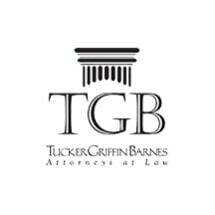 She is the senior local female attorney in Charlottesville and surrounding counties concentrating in car, truck and motorcycle crash cases. Mr. Griffin was featured in "Virginia's Largest Personal Injury Verdicts" edition of the Virginia Lawyer's Weekly. Although Mr. Griffin Started practicing law in 1998 as a prosecutor, since 1995 she has done nothing but injury law. During this time she has handled hundreds of personal injury cases. Your Next Step: If you or a loved one has been injured, please contact our firm right away. Ms. Griffin is eager to hear your story and discuss your options. Ms. Griffin offers a free, 90-minute office consultation. Please call today.